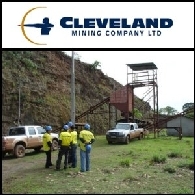 Cleveland Mining Company Ltd (ASX:CDG) is an Australian managed, ASX listed minerals company squarely focused on developing projects into mines. The company's management team have a track record for building successful projects from the ground up, providing Cleveland with the expertise to secure and build robust projects. Mining and production are underway at the Premier Gold Mine located in Crixas, in central Brazil. The company is also working to expand production developing the Lavra prospect, within the O Capitao Project, less than 10km away. Cleveland has a different approach to project selection with project economics driving target selection. Projects are chosen according to their likelihood of generating returns at the bottom of the economic cycle. 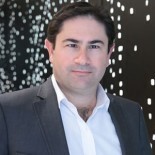 David Mendelawitz, Managing Director of Cleveland Mining (ASX:CDG) updates shareholders on the continued trading suspension and next steps for Cleveland Mining. 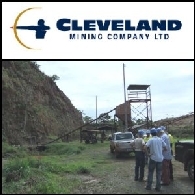 Cleveland Mining Company Ltd (ASX:CDG) is pleased to provide details of a small private placement made to existing sophisticated shareholders. $AU1.075M was raised through the issue of 17.9M shares @ $0.06 per share. The placement was co-ordinated by the Company, thus keeping costs to a minimum. ASX-listed Cleveland Mining (ASX:CDG) aims to build a 5 million tonne per annum iron ore operation in northern Brazil after signing an Option Agreement over the Ferradura iron ore project. A review of existing drilling information by mining consulting group SRK confirmed the project&apos;s potential to hold a mineral resource of several hundred million tonnes of hematite and magnetite mineralisation. Cleveland Mining Company Limited (ASX:CDG) is pleased to announce the results of recent drilling at the O Capitão Gold Project targeting the Dona Maria Garimpo. The Company has discovered significant gold-bearing mineralisation located less than 10 kilometres from Cleveland&apos;s Premier Gold Project. 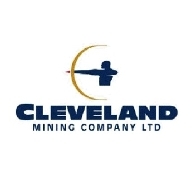 Cleveland Mining Company Limited (ASX:CDG) is pleased to announce the appointment of Mr. Russell Scrimshaw to the Board as a Non-Executive Director. It is anticipated that Mr Scrimshaw&apos;s extensive experience in both mining and finance will greatly contribute to the Company&apos;s immediate activities and its long-term development. Australian Market Report of March 18, 2011 includes: Cleveland Mining Company Limited (ASX:CDG) has signed a binding Letter of Intent to acquire and develop the El Chapo de Canela gold project in central Chile; RMG Limited (ASX:RMG) has acquired Kamarga Zinc project; Gold Road Resources Limited (ASX:GOR) Yamarna Project exceeds 1 million ounces of gold; Coalworks Limited (ASX:CWK) has completed Phase 1 drilling at Ferndale Coal Project.